We turned around and saw one for the first time. It was outside the coffee bar, just across the narrow street in Fiesole. 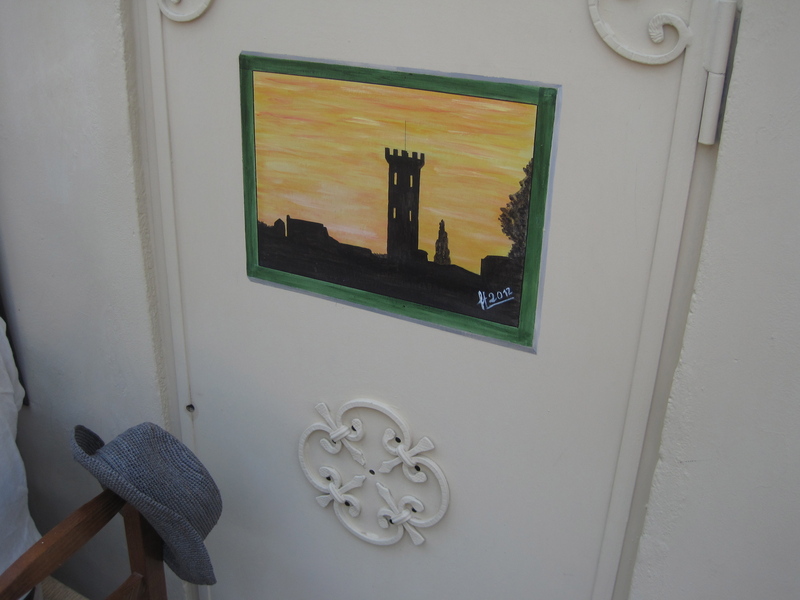 On the sportello (little door) that covers the gas meter was a painting of a street scene—specifically, the very house that belonged with the painted door! It was signed FL and dated 2013. 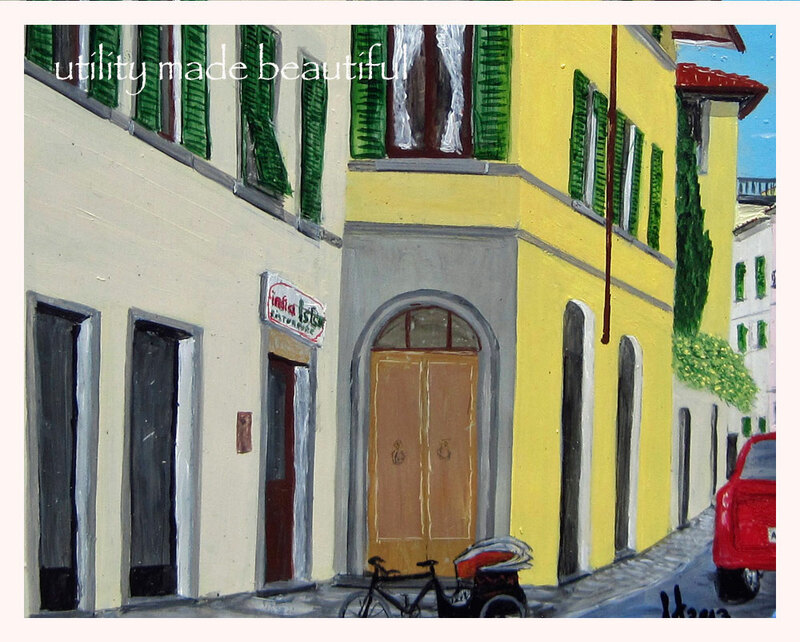 We smiled at our discovery and asked Riccardo, the owner of the bar, what that colorful picture was all about. He told us about an artist in town who likes to paint pictures on those little utility doors. Interesting! Days later we were having lunch outside at Vinandro just down the street, and noticed another colorful painting in the same style. There it was, in all its glory, on the metal door just outside the restaurant. We went over to take a closer look. Sure enough there was another FL and date in the lower right hand corner. The more we looked, the more street art we found. They seemed to be scattered around the entire town, but always on one of those doors. It turns out that the mystery man FL is Francesco Lorenzini—contractor/jazz musician/artist. His story is interesting, and goes something like this. 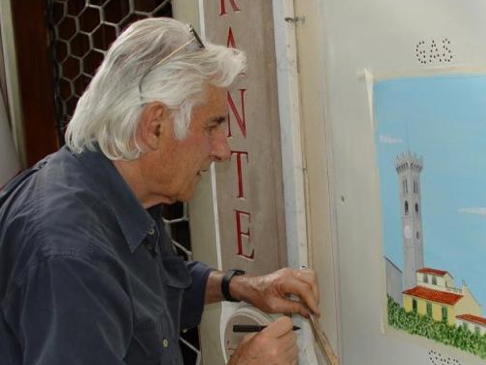 He has a small house on the island of Giglio just off the west coast of central Italy. The little metal sportello outside his place was looking rather tired, rusted and worn (as they often do). He decided it was time to spiff things up a bit, so he not only repainted it, but made his own rendition of a familiar local scene. 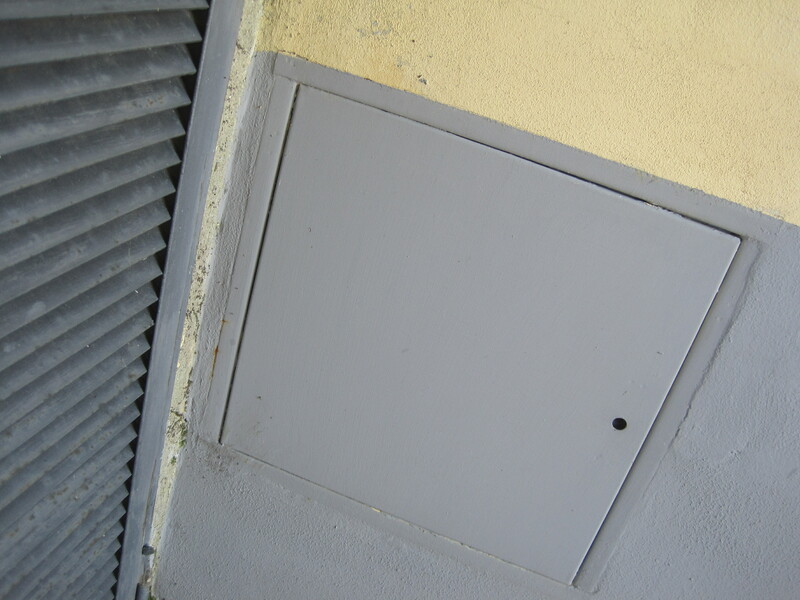 In his own words (translated of course), “People liked the idea, and word of mouth among neighbors and friends did the rest.”* Soon, he found himself dressing-up the same little utility doors in our nearby town of Fiesole. Rumor has it that the current count is somewhere in the seventies and climbing. Since the artistry is done only upon request, he just follows the growing demand, making a difference in the quality of life . . . one door at a time. Now we find ourselves taking the long routes these days as we walk through town. It’s a bit of a game to see how many of the hidden renderings we can find—something like an Easter egg hunt, but without the chocolate or the golden egg. In any case, we’re paying closer attention to the details around us, and the unexpected beauty and possibility that can pop up anywhere. We just have to start looking—even on metal utility doors. Surprises await us around every corner. That next night at dinner, we noticed that the sportello by the kitchen door at home is looking a little tired and worn. A begging, blank canvas? Maybe it’s time to spiff it up a bit with an FL of our own. Prev Post: Monk: man of the cloth? or man of the cough?